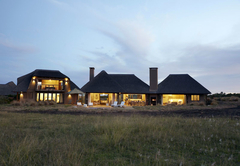 Ulubisi House is a Garden Route game lodge providing a wildlife experience for tourists visiting Garden Route. 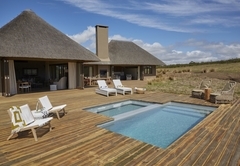 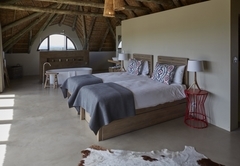 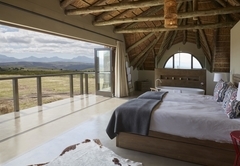 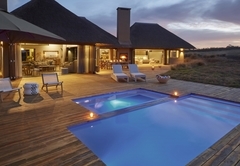 Ulubisi House, named after the Black Harrier frequently seen hunting in the grasslands surrounding the private lodge, is the most exclusive accommodation offering on the 11,000 hectare, Big 5 Gondwana Game Reserve. 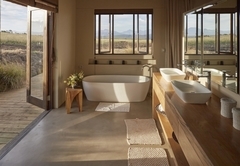 Breathtakingly stylish and sophisticated, yet refreshingly simple. 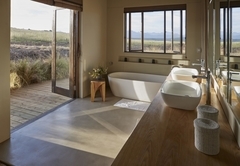 With 180 degree views of grass plains dotted with game, fynbos covered rolling hills and the Outeniqua Mountain range, Ulubisi House is tucked away in the reserve’s 1000 hectare protected walking area for endangered species. 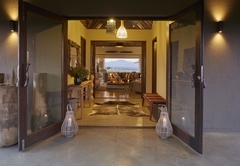 Sleeping either six adults or four adults and four children, the property comes with a full complement of staff, including its own butler, chef and field guide. 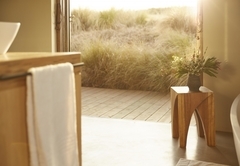 The timetable runs to guest’s guilt free whim and they will instantly feel as though this is their second home. 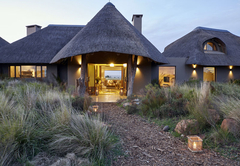 Ulubisi House is a modern African villa made of stone, wood and thatch which blends into the natural environment. 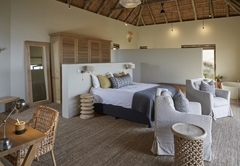 There are three spacious bedroom suites and an enormous central living space with seating and dining areas overlooking an open grassy pan. 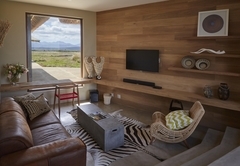 A loft apartment is also available adjacent to the lodge for extra guests. 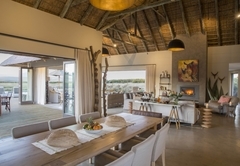 Generous wrap-around terraces and living areas that open up to the landscape beyond embrace the surrounding bush, inviting it into the spacious interiors. 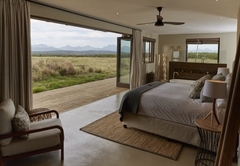 Beds are positioned to face the waking bush but there's no need to jump out of bed early - with a dedicated game ranger and a private game drive vehicle, guests set their own schedule. 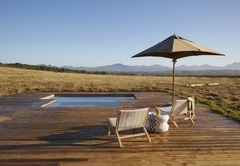 The expansive deck looks out onto magnificent savannah and mountain views, while the sparkling swimming pool and hot tub are surrounded by loungers with plump cushions. 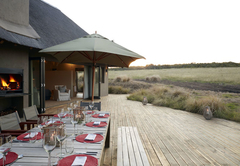 An outdoor dining area, ideal for stylish bush dinners under the stars, completes the African experience. 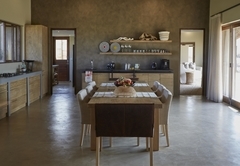 A private chef is available for the duration of your stay as well as a butler. 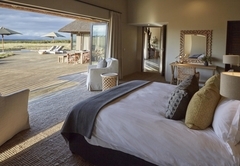 All meals and drinks including spirits, liqueurs and soft drinks are included in your stay. 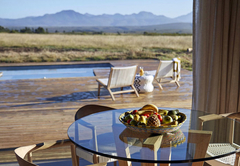 The only drinks excluded are French champagne and premium wines. 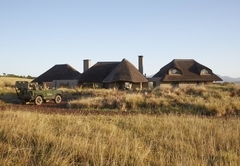 Includes all meals and beverages, private chef, butler and field guide with private vehicle.